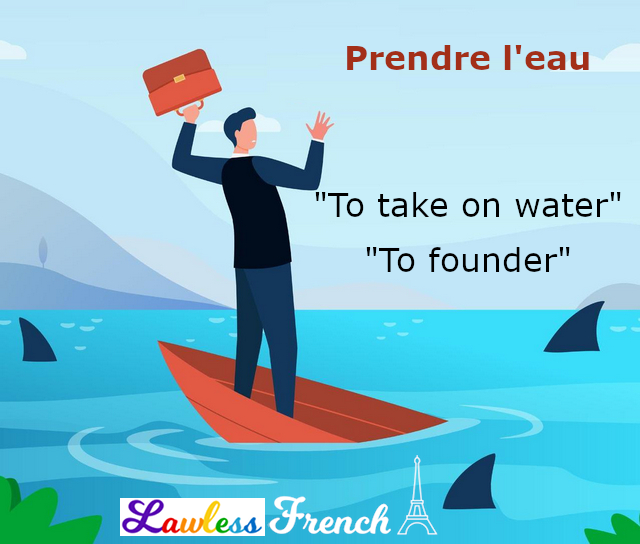 Usage notes: The original meaning of prendre l’eau is literal: to take on or let in water. Va chercher le seau, le bateau prend l’eau ! Get the bucket, the boat is taking on water! Ah zut, mes chaussures prennent l’eau. Shoot, my shoes leak. 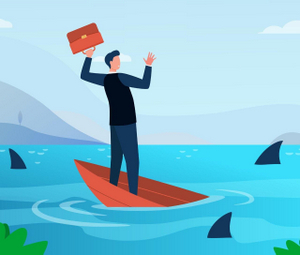 The result of taking on too much water—eventually a boat will sink—leads to the figurative meaning: a company or project will founder, start to collapse. Notre entreprise prend l’eau, il y aura des licenciements. Our cmopany is foundering, there will be lay-offs. Nous prenions l’eau l’année dernière, mais ça va mieux maintenant. We were headed for collapse last year, but things are better now.